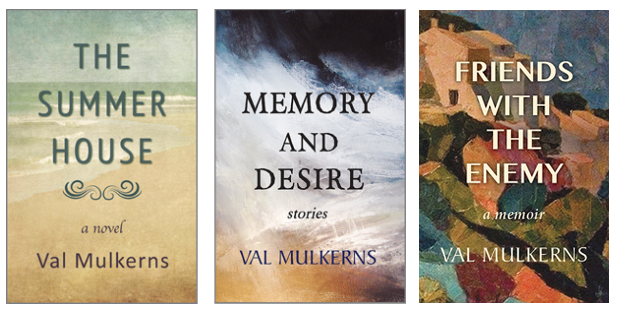 Val Mulkerns was born in Dublin in 1925. Growing up in an artistic family, her father was J.J. Mulkerns, a Dublin actor and writer of satirical verse. After a stint in the Irish Civil Service, she moved to England, where she worked as a teacher. 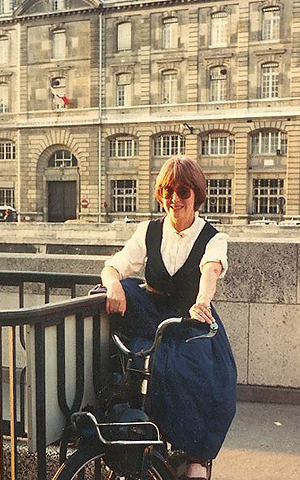 During the fifties, after moving back to Ireland, she began to write, and worked as an associate editor and theatre critic of The Bell, a famed Irish literary review founded by Sean O’Faolain. Her two early novels were A Time Outworn (1951), and A Peacock Cry (1954). While raising a family in the decade that followed, she became a regular columnist with The Evening Press, wrote a number of short stories – for which she has received particular renown – and penned two children’s books, which have been translated into German and published by Benziger of Zurich. Married to the late writer Maurice Kennedy, she edited a posthumous collection of his work, The Way to Vladivostok, in 2000. She lives outside Dublin, and broadcasts frequently on Sunday Miscellany, a programme of writers’ original reflections on RTE. She was most recently included in The Granta Book of The Irish Short Story edited by Anne Enright, and has also completed a memoir. Val Mulkerns is a member of Aosdána, the Affiliation of Creative Artists in Ireland. In 2014, a Third Edition of Val’s novel The Summerhouse was published by Tara Press, for availability click here. A new collection of Val’s short fiction, entitled Memory and Desire, was published in May 2016 by 451 Editions, and features twelve of the author’s short stories from the collections, An Idle Woman, Antiquities and A Friend of Don Juan. Friends With The Enemy, launched just before Christmas by author Ita Daly at The Gutter Bookshop and now available in shops around Ireland for Spring, takes the form of an elegant memoir, which begins with tales of intriguing ancestors, leads us through early days of a Bohemian Dublin childhood and then to a teaching position in Britain, and to explore the sunnier climes of post-war Europe and Italy. 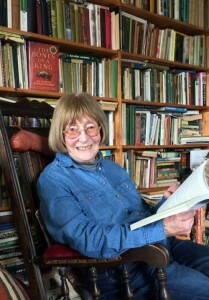 The book goes on to remember her time at the The Bell under editor Peadar O’Donnell, and recounts her life as a writer in Ireland, covering almost 70 years of life and times in literary Ireland. Friends With the Enemy, Memory and Desire and The Summerhouse are available now in all Irish bookshops, by order from Argosy Books in Ireland, online internationally and through bookshops internationally that stock through Ingram, Gardners etc. To sign up for news and information, click here.